Recruitment job i.e. talent recruitment is every bit as rewarding as it is challenging; being entrusted with decision-making that may professionally influence the course of one’s life really is a huge deal. However, in order to do your job well or, better yet – do your job exceptionally and get the best candidates possible, you need to honor a few recruiting codes we rarely ever talk about but understand and honor with an almost religious commitment. For every recruiter who is just starting out or has been in the HR/recruiting arena for a while but hasn’t really gotten far, we’re laying out the following tips with the idea to push you in the right direction. Mastering the advice below and learning ways to implement them professionally will get you the right candidates in a blink! Long gone are days of traditional hiring; we in the recruiting industry are trying to step away from the tired head-hunting methods and move to the future of recruiting – online software services that help post vacancies with a higher success rate, filter the candidates easier, and optimize hiring to fit our company’s needs. Our recent obsession has been Anomadic that’s kind of new on the market but has more than a few awesome features that make our jobs so much easier. 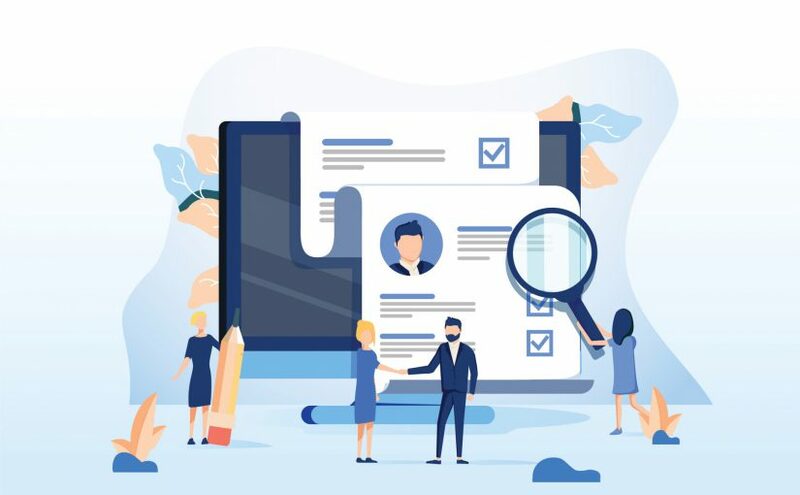 They’ve got this Automated Reference Check option that reassures the recruiters of the candidates’ suitability for the job by automatically selecting and processing which is a huge help when you’ve got tons of applicants to go through. And that’s just one of the options. Naturally, the key is to successfully merge the traditional and digital methods to get the best of both and optimize your recruiting skills for success. Although being professional in your approach to candidate screening and processing is paramount of every successful HR/recruiting post, looking (and seeing!) the bigger picture is potentially even more important. How so? In order to find the right person for the job, you have to zoom in the person you are talking to, not just the professional fit for the job post. Apart from having all the necessary job skills listed on their resumes, your candidate needs to have the personality that fits your company’s culture or at least be adaptable enough to learn to agree with your company’s atmosphere. You won’t do much with a candidate who can do a job but can’t hold a conversation with his colleagues; such dynamics will only make everyone uncomfortable and result in productivity decrease in the long run. Talk to the person, see what they are like, inquire about their interests outside the work, get their opinion on how to create a positive work culture, etc. Scan them to see if they would fit the team you intend them for (in terms of their personality), work ethic, behavior and other important personality traits. Only then, move onto more serious aspects of the interview like inquiring about their technical skills, experiences, basic IT skills, work goals and such. One of the most common problems HRs and recruiters face is having to filter through an enormous number of applicants, most of which happen to be completely unfitted/unqualified for the vacancy. The problem isn’t with the applicants only; often, HR ads are unclear and vague, prompting jobseekers to hit “Apply”. To spare yourself the additional work and target the right people straight away, you need to be clear and open in the vacancy you are posting. Design the ad in a way that both junior and senior candidates understand the job requirements. With a properly crafted ad, everyone wins: the right candidates find your ad and apply and you get the quality you wanted. Plus, combine your clean ad with Anomadic’s applicant tracking software service and you’ve got yourself a winning deal! Consistency in questioning your candidates is key. You want to develop a screening pattern that’ll be applicable to all the candidates because that’s the only way to have a fair and square hiring modus. To avoid making mistakes and end up with a completely wrong person for the job, you must ask each candidate the same questions, that is – if they are being interviewed for the same position. Naturally, you can choose any other symbol or pattern you like as long as it’s making your job easier and the process fair. No matter how much you like or dislike a candidate after the interview, never make an on-the-spot decision. Discuss your option and impressions with everyone else involved in the hiring process, compare notes, evaluate the candidate’s IT skills and references along with their tech assessment and then decide. Conduct a second round of interviews if several candidates are a close match, and choose the one that stands out. Creating a positive work culture and a productive workplace is a made of candidates whose both skills and personality traits fit your company’s work culture, and that’s what you should be aiming for – a full package.